We're predicting a 100 percent chance of fans playing this track on repeat! As previously announced, Groundhog Day's cast recording hits earbuds digitally on April 14 and in stores on May 5—and we think even selfish, cynical weather man Phil Connors would like the sound of that. The Chris Nightingale, Michael Croiter and Tim Minchin-produced album will be made available via Masterworks Broadway/Broadway Records, and today, Broadway.com is exclusively premiering the anthemic track "If I Had My Time Again." We've been listening to it over and over (and over). 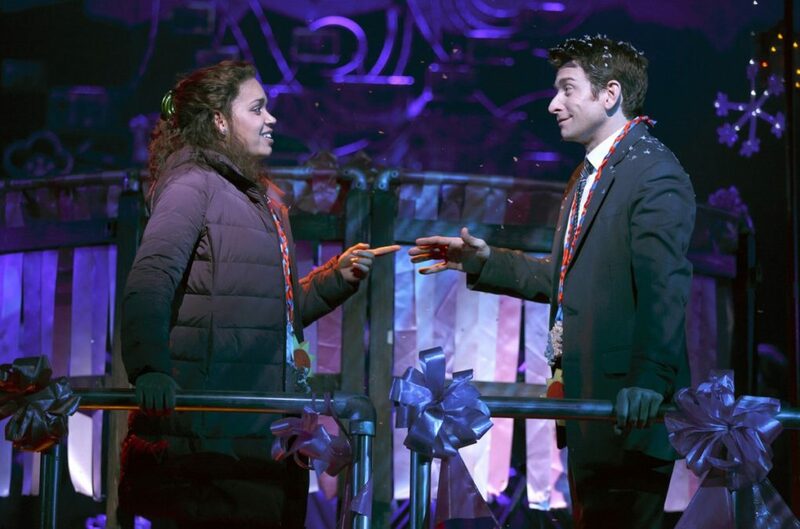 Get an earful of Andy Karl, Barrett Doss and the rest of Groundhog Day's vibrant cast, and be sure to catch the fantastic production at the August Wilson Theatre. Love the track? Pre-order the entire cast recording on Amazon and iTunes now.